I went to London a few times over the past couple of months and really enjoyed the dining scene there. 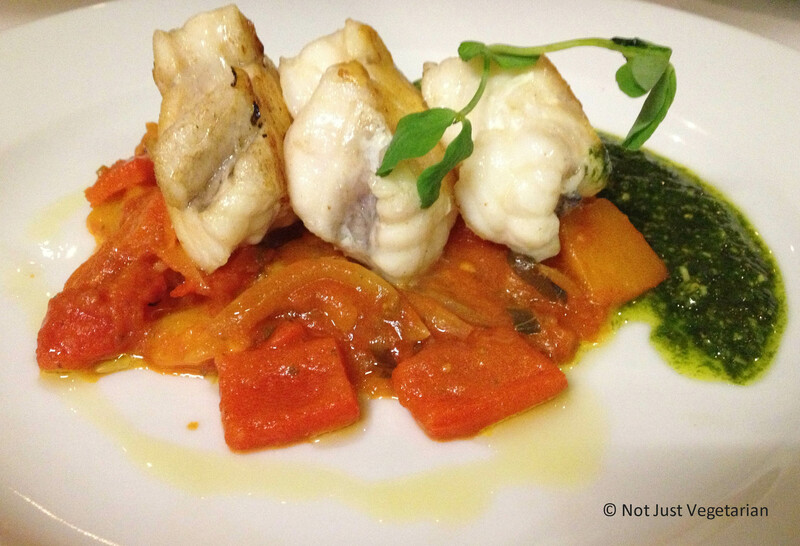 So, here is my first post about eating “not just vegetarian” in London. We were staying in the Bayswater / Paddington area and wanted to explore the Connaught Village around dinner time on a week day. There are plenty of restaurant options in Connaught village, but we felt like eating Italian that night and walked into Stuzzico. 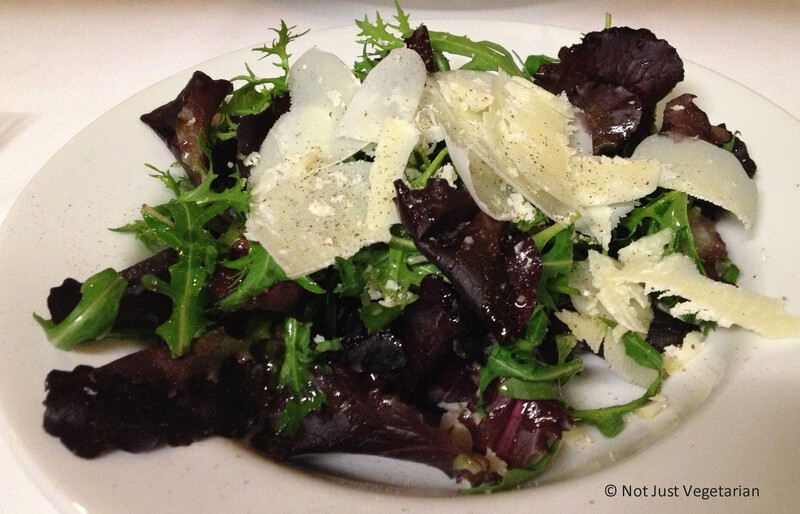 Stuzzico is a cute Italian restaurant with a short menu. Stuzzico was not crowded on that week night, but the food felt like it was worth visiting for – may be because they use simple, fresh, seasonal ingredients. 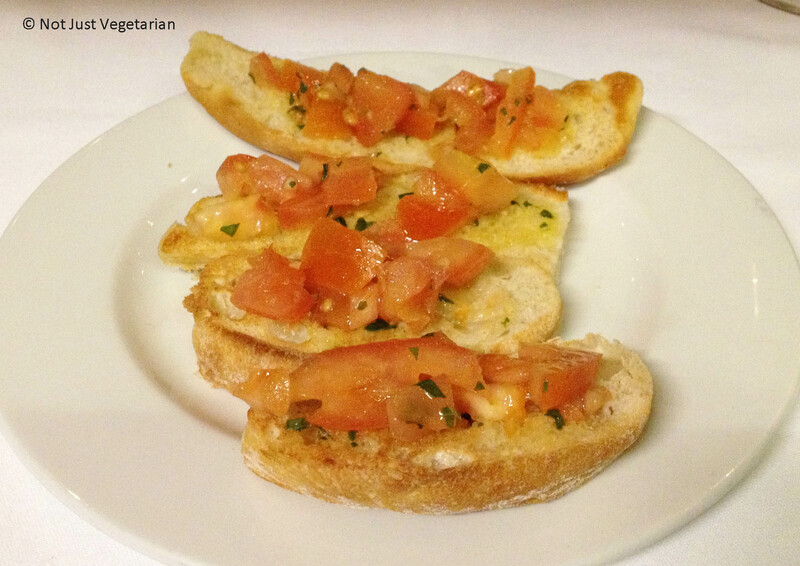 We got a tomato bruschetta – was the only average dish of the evening. This dish would have been better with salted tomatoes (they were bland), a few generous grinds of black pepper, and with a drizzle of some fruity olive oil. We got a green salad with mesclun, rocket (realized that it’s the same as arugula in the US!) and parmesan. It was tossed in a lemony olive oil and tasted great with freshly ground black pepper. 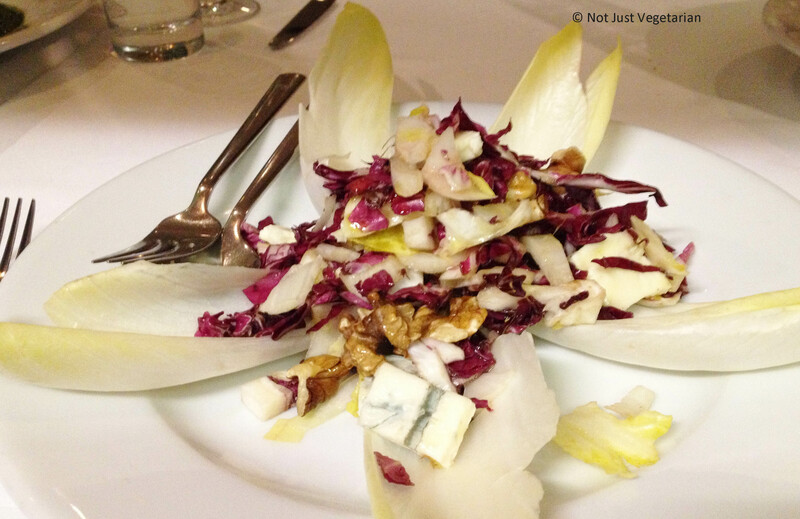 The endive, radicchio, blue cheese, and walnut salad was delicious. Perfectly balanced in every bite. And how can anyone go wrong with if it includes truffle oil? If you happen to be near Hyde Park in London, do try Stuzzico and let me know what you think…..